Posted on March 18, 2016	by Blowhard, Esq. 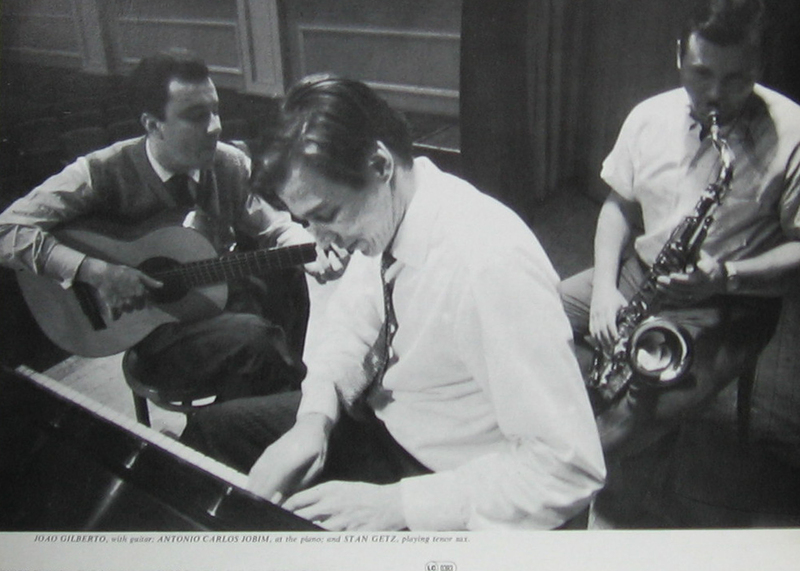 On this day 53 years ago, Gilberto, Jobim and Getz began recording “Getz/Gilberto.” They finished the following day. This entry was posted in Music and tagged Antonio Carlos Jobim, João Gilberto, Stan Getz. Bookmark the permalink. Great album, up there with the SInatra/Jobim record. Great piece, thanks for that. By coincidence I just bought the Sinatra-Jobim album a couple days ago.